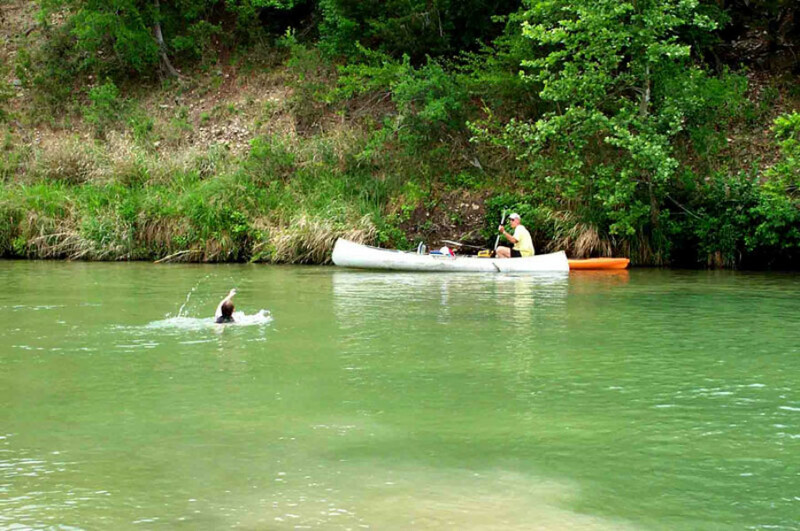 This canoe trip would be a very long day trip, but it can be done – or you can camp in the wonderful South Llano River State Park. 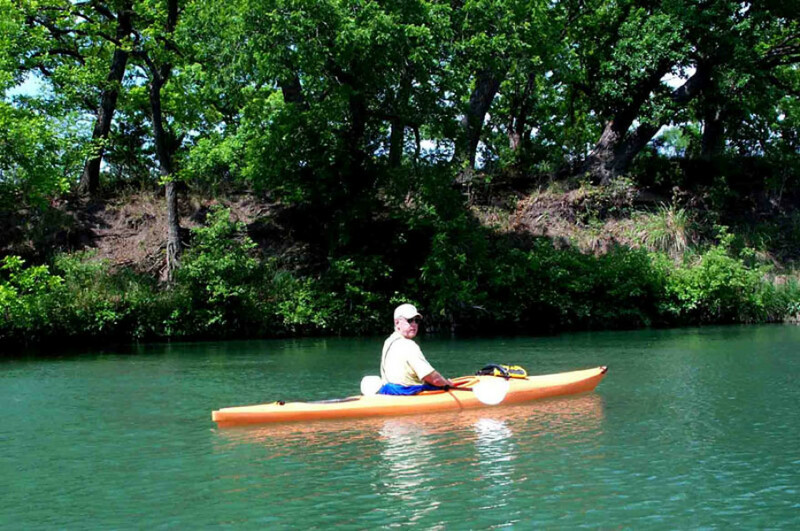 The South Fork of the Llano River, south of Junction is a wonderful river for canoeists of all skill levels. 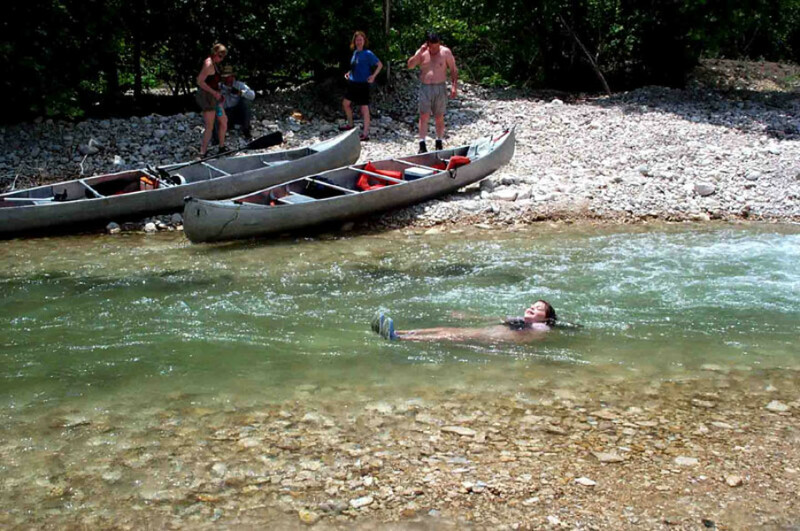 There are many rapids that offer a fast and exciting ride, yet, when and if canoes flip, there is little danger of injury, for the water is usually less than waist deep. 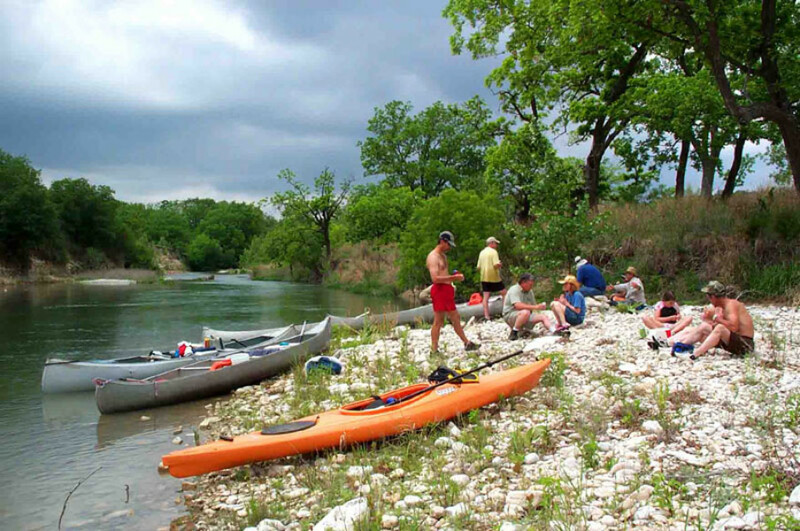 The May 6th river trip by the newly resurrected Permian Basin Outing Club is just one of many monthly trips planned. 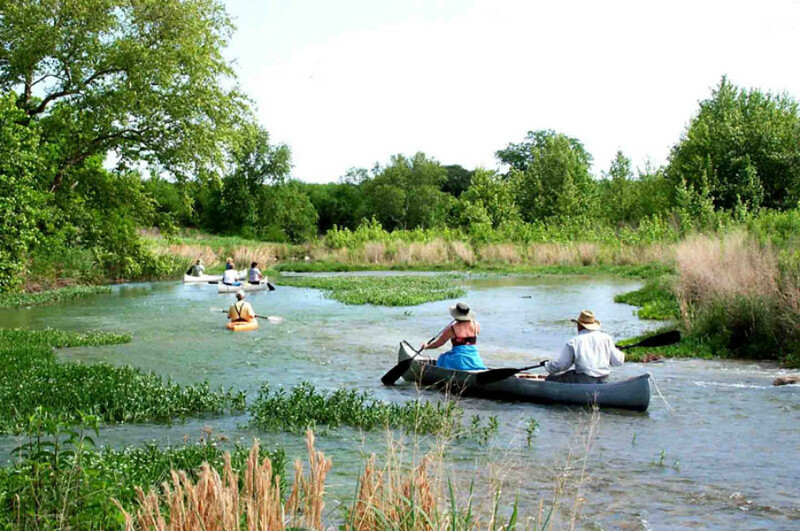 Other activities will include backpacking, climbing/rappelling, caving, archeology, mountain biking, and many other outdoor activities that are designed for all ages and skill levels. 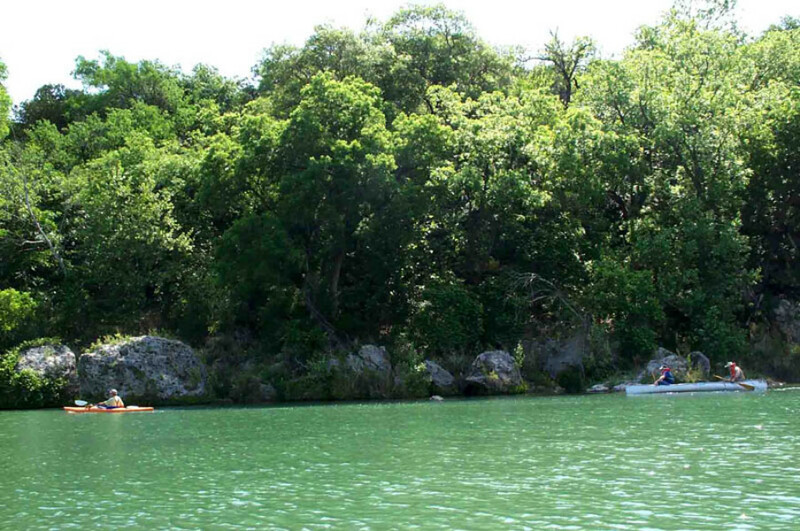 Call the Sibley Center at (432) 684-6827 if you have an interest in joining the club. Rick Gray and his daughter Olivia at the put-in. Rick is a civil engineer in San Antonio and one of the original Outing Club members from 1984. 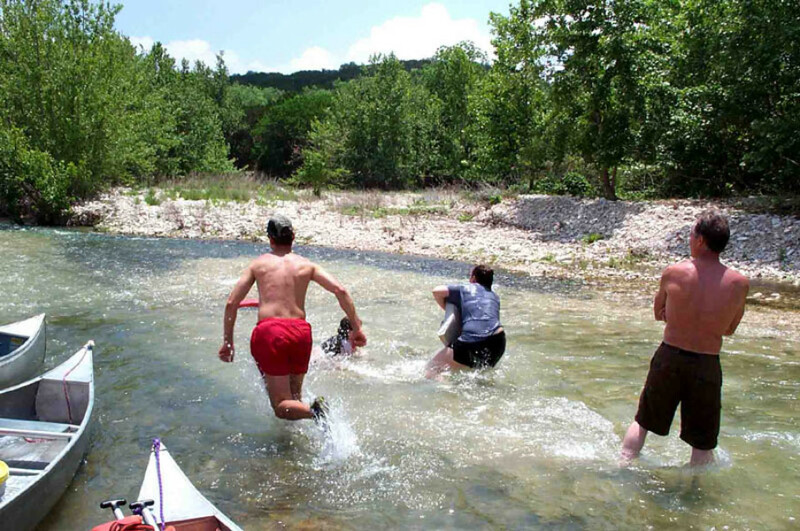 Patrick Dearen and Don Moore at the put-in point (1st crossing on the South Fork of the Llano River) south of Junction, Texas. Pat and Sharon Barber from Colorado City (foreground) negotiate the river's many turns. 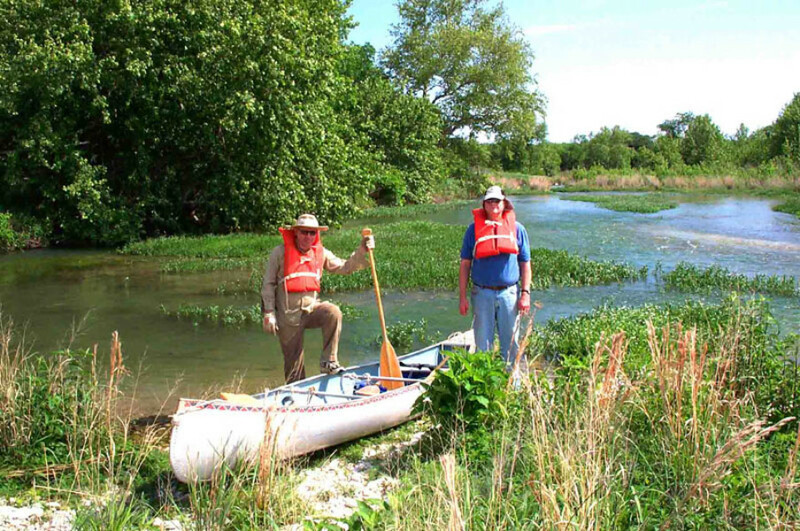 Richard Galle in kayak and Don Moore and Patrick Dearen in canoe enjoying easy paddling and perfect weather. 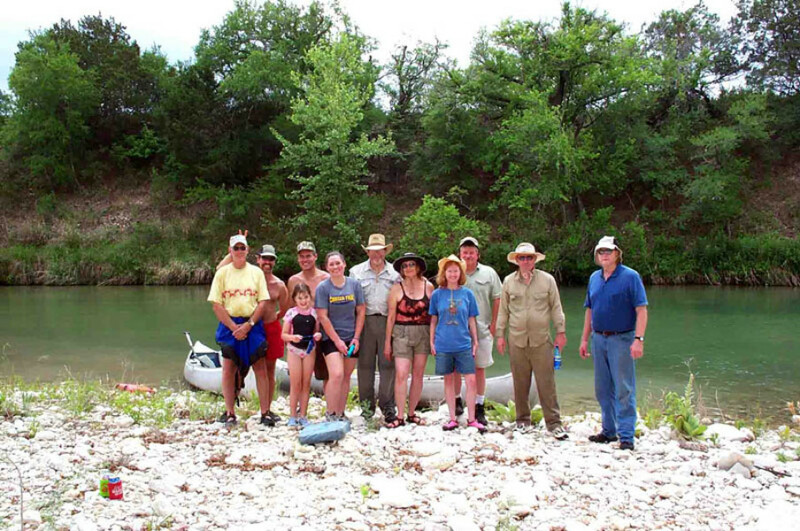 The group stops for lunch on one of hundreds of picnic spots on the river. 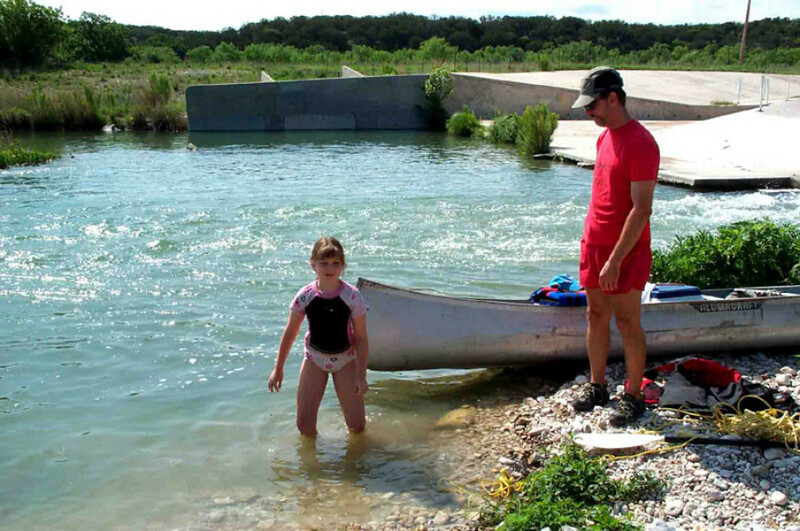 Richard Galle retrieves his kayak when "Little Olivia" launches it without him! Group picture of participants: Front row (l-r) Olivia Gray, Olivia Whitaker, Sharon Barber, and Kay Crum, Back row (l-r) Richard Galle, Rick Gray, Terry Whitaker, Pat Barber, David Crum, Pat Dearen, and Don Moore. Steven Schafersman is behind the camera. Olivia Gray takes advantage of the one of the many opportunities to enjoy the water while Pat and Sharon Barber and David and Kay Crum watch. Rick and Olivia Gray and Olivia Whitaker and dad Terry Whitaker enjoy the water.